Having left the Bluegrass State, Miss McCoy began a career in visual and performance art alongside her writing. She has since toured the US twice, and has studied in Boston, NYC, and San Francisco. 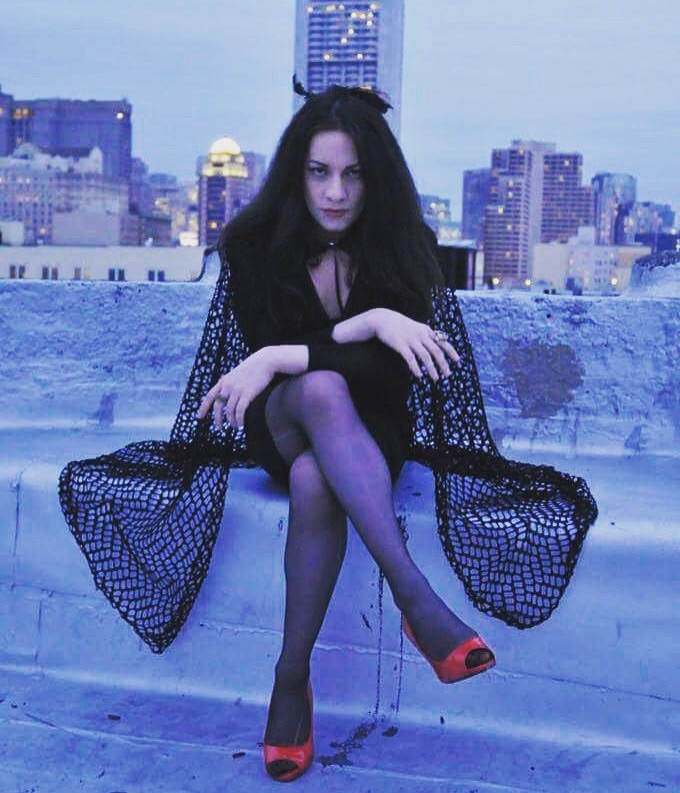 A published author and an award winning performance artist, The SF Weekly named Miss McCoy one of the top ten Bay Area female authors of 2015, AND one of the top 15 performance artists. 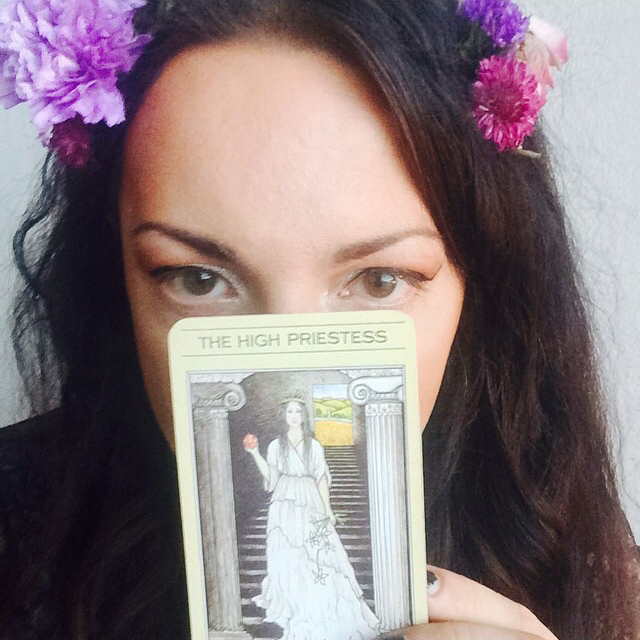 One may wonder what this has to do with her psychic practice and relationship to the Tarot? Anyone who has experienced a reading with Miss McCoy can tell you ----- it is truly that--- AN EXPERIENCE. Miss McCoy is a seasoned storyteller; she utilizes this along with her natural intuitive abilities during each reading. She simply does not give you a dry reading, rattling off traditional, stereotypical "meanings" of the cards; instead she is PRESENT, she is INTUITIVE, and she will PERFORM the stories carried not only within the cards, and the narratives they tell for your past, present, and future. It becomes personal, it becomes applicable, it becomes powerful. Miss McCoy's approach to the Tarot utilizes Greek mythology, astrology, metaphor, psychology, archetypes, and performative storytelling. This lady has been around the world, and her relationship to not only the Tarot but towards Life itself is non-judgmental, at once heart-felt and practical. Not overly sappy nor cynical, but a healthy mix of the two with above all a SENSE OF HUMOR and a commitment to helping individuals. Her clientele range from Portland to Amsterdam, anywhere her stiletto heels have danced upon or where a good WIFI connection exists. Magic is NOT limited to geography, and neither are Miss McCoy's abilities! Whether one is having an in-person reading with the Lady McCoy at her own home, or at an event, a party, wedding, or even in your own home via Skype or phone---- Miss McCoy is DEDICATED to delivering you the insight and perspective you NEED to hear. Click here for TESTIMONIALS! THE READING Miss McCoy will go over what the cards say about your past six months, the present moment, what is currently challenging you or blocking you, what is coming ahead for you in the following months to the upcoming year, as well as how individuals around you are presently perceiving you, your subconscious drive, and your hopes and fears. An in-depth hour reading will help you confront what you NEED to hear, what you NEED to know, as opposed to what you simply WANT to hear, or WANT to happen. Miss McCoy does not pander, and though she sincerely wishes the best for you, she will not sugar-coat what's going on. At the end of the reading, you may ask a few additional questions if further clarity is needed. A photo will be taken of the cards that will be sent to you for your own records as well. THE DECK While Miss McCoy owns multiple Tarot decks, presently her preferred deck for professional readings is one of her all-time favorites. It is called The Mythic Tarot, created by Juliet Sharman-Burke and Liz Greene. Miss McCoy has one of the original versions of the deck released in the 1980s! The artwork is beautiful, lush, and very much like the pages of a fairy-tale book. The cards themselves portray moments from Greek mythology. Miss McCoy has always been a tremendous student of the Greek myths and sees them as an excellent platform to relate metaphors and to view chapters of your own life through the lens of these characters and stories. LOGISTICS Readings are available in person for individuals located in the Portland area, or via Skype, VSee, or telephone for those around the globe! Payment is required prior to readings and can be accepted via PayPal or Venmo. To book an in-person or skype session, email missmccoytarot@gmail.com or scroll up for online booking!